The suburbs of Limerick are awash with a greatly increased number of loan-approved buyers with not enough family homes to put them into. The developing shortage has seen a reverse of last year's situation, where city centre property values rose ahead of those in the suburbs. As it stands, home values are up in the suburbs by 8pc on one year ago. The few new schemes that were launched - Bloomfield in Annacotty, for example - set a benchmark for prices going forward. Before Christmas, the new three-beds were changing hands for €265,000 at Bloomfield, while the four-bed semis were up at €295,000, sitting just shy of the vital €300,000 threshold. Despite this inflation, Limerick suburban prices are still generally well behind those of other key cities. 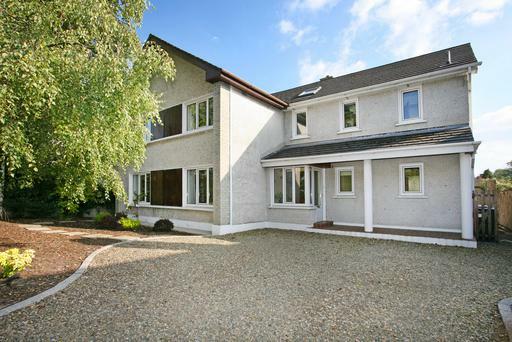 Buyers for family homes, particularly around Castletroy and Annacotty, are proving fairly competitive. Many of those whose budgets have been exceeded are coming back again into the fray for the same properties with higher loan approvals or else finance from their parents. The squeeze means that family homes in popular estate locations in Castletroy have increased through the last 12 months by closer to 10pc. The good news for those looking to buy in the area is that, unlike many other markets which have no relief in sight, a steady supply of new homes is on the way at Mungret. But not just yet. The Limerick 2030 plan, while not going entirely to schedule, is providing new homes in a structured and planned fashion, with amenities like school and road access being taken care of before the houses are completed. The bad news is that the Mungret homes were expected to come on stream this year but are now likely to be delayed until 2019. Nonetheless, councils nationwide should look to Limerick (as well as Adamstown in Dublin) for a lesson in how to plan expansion correctly. Hundreds and perhaps thousands of homes are expected at Mungret, enough to keep the heat out of Limerick suburban living going forward and to keep family purchases affordable for many years to come. "At least two new sites are, however, expected to open this year, with a few hundred homes becoming available," adds local expert Ailbhe O'Malley of Sherry FitzGerald O'Malley. Mark Keenan Irish property prices have caught the builders blues with a sudden surge in renovation costs seeing the values of older homes falling relative to other properties.